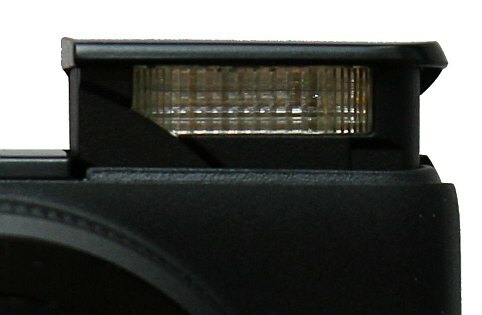 After a few more months of usage of the Canon PowerShot S95 I have one more slightly curious thing that I have noticed. Even though I think that flash pictures often turn out rather flat and often lose much of the natural atmosphere I – at times – find that natural light is not enough and switch on the built-in flash. I have now finally gotten used to the fact that the flash pops up exactly where I usually hold my left hand fingers! 😉 Using the “P” setting and auto-ISO I have noticed that the S95 quite often ramp up the ISO value to 500 or 640 resulting in rather unnecessary noise in the picture. This happens even when the motif is quite close (about 1 meter or 3 feet) – both to the camera and the background! It is quite possible to manually select ISO 80 and take the picture – which will turn out much better! This is puzzling me as the built-in flash can produce such a strong flash! I can take virtually noise free and well-lit pictures with ISO 80 at 5 meters (15 feet) – if I set the ISO value manually! The disadvantage is this will load the battery more as the flash will have to be much stronger. Remember to set your ISO value manually to ISO 80 if you want your flash pictures to look their best!